June is National Aquarium Month! 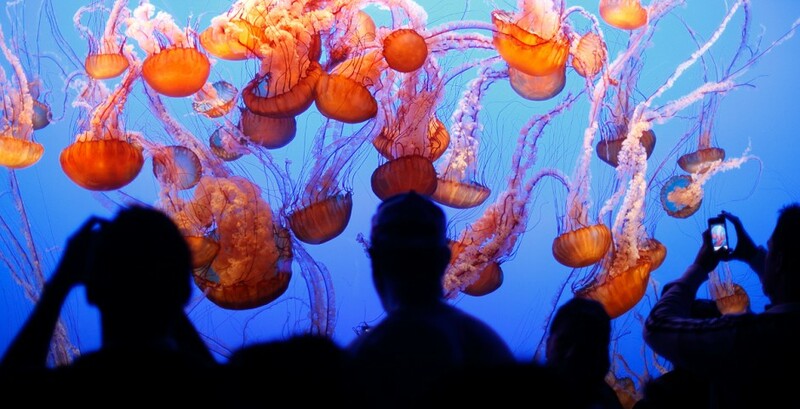 In honor of summer vacations, we will feature beautiful aquariums around the world and unique aquariums in the home. We hope you get inspired to do some exploring. The Monterey Bay Aquarium in California does a huge amount of marine research, and was the first aquarium to successfully keep a great white shark in captivity. It’s also one of the few places where you can see an ocean sunfish.